A new free mobile game could increase volunteerism at national parks and result in a $50,000 donation to the National Park Foundation. “Save the Park” features four characters who accomplish volunteer tasks in three different parks, challenging players to experience in a virtual environment the impact they can have on park conservation and stewardship. The game also introduces facts about specific national parks and directs players to NPS.gov to explore volunteer opportunities in their local national parks. Players also can share elements of the game experience socially.Schell Games, working under a contract with Games for Change, developed the mobile game using a $250,000 grant from American Express. It has produced games for PBS Kids, the Fred Rodgers Company and Walt Disney. “Save the Park” is available for free on iTunes. For every download of the game in 2016, the American Express Foundation will make a $1 donation to the National Park Foundation, up to $50,000. 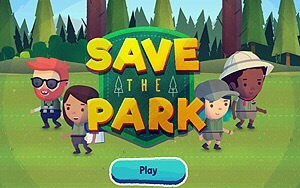 “By creating characters and storylines that showcase realistic ways that people can support park conservation, we hope the game will provide a jumping-off point for people who care about the environment to picture themselves actively participating,” Meredith Hahn, vice president of corporate social responsibility at American Express, tells Marketing Daily. One of the game’s characters is Simone, a fourth grade junior ranger, created to demonstrate that people of all ages can participate in volunteerism in the parks, says Susanna Pollack, president of Games for Change. Additional characters include Ben, a wildlife lover; Mei, an environmental champion; Luna, a citizen scientist; and Andre, a culture concierge. Park officials believe “Save the Park” will help the Department of Interior achieve its goal of boosting community volunteers on public lands to 1 million by 2017. A total of 11 reviewers give the game a five-star rating with very positive comments. One reviewer said this: “Very fun. Characters and environments have lots of appeal. 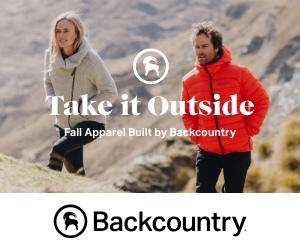 Brings great awareness to volunteering at National Parks — something I really hadn’t considered before, but now I’m interested. Especially the artists’ programs that I never knew about .